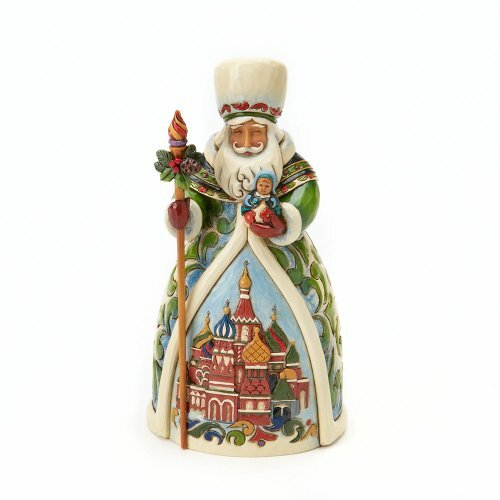 A customary Russian Santa with staff and majestic scene. Part of Santa's around the world collection. and a great gift-Giving price.